Disputes can become a major drain on management time and resources unless handled quickly and efficiently. Our litigation team has a depth of experience in resolving disputes swiftly and painlessly. We will take a pragmatic and robust approach to protecting your interests and work with you to achieve the best possible outcome in line with your commercial objectives. Disputes can range from breach of contract and sale of goods disagreements, to major complex issues involving construction, engineering or property. Many cases involve problems that arise within organisations, such as partnership and shareholder disputes. We also have experience in bankruptcy proceedings. Whatever the issue, our team provides sensible, practical solutions and sound advice based on a wealth of experience. These may involve litigation, arbitration or adjudication, but we are also enthusiastic advocates of alternative dispute resolution (ADR) techniques as a way of avoiding what can be lengthy and costly legal proceedings. Acting for an asset management company in relation to a claim for wrongful termination of contract and repudiatory breach against a care home, together with an action for conspiracy against two former consultants. Advising a large international holiday company on numerous individual and group litigation claims in connection with timeshare holiday products. Acting for 60 Houseboat owners at Chelsea Reach in various inter-linked and ongoing disputes against Chelsea Yacht & Boat Company relating to the practice of charging licence fees in addition to mooring fees and maintenance fees and in respect of purported termination notices that have been served on many houseboat owners. This is an extremely important case relating to the historic Chelsea Reach as the houseboat community is still unregulated. We were recently successful at the High Court in defeating an application by CYBC to have the question of whether it has committed a criminal offence (by charging/seeking to charge a premium or licence fee contrary to its River Works Licence) decided as a preliminary issue. Acting on behalf of a worldwide major international hotel group on a broad spectrum of commercial disputes. Acting for a property development company in relation to a contractual dispute for the recovery of substantial service charges. 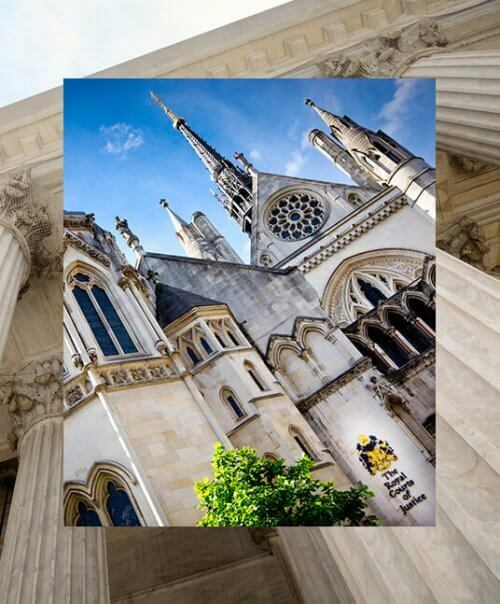 The case has involved highly complicated and protracted litigation and proceedings in the High Court and Property Chamber (Paddington Basin Developments Limited & Ors v West End Quay Management Limited). Acting for corporate client in multi-million pound debt recovery which included matters requiring a without notice application for a Freezing Injunction. Acting for a large private overseas company in dealing with a large and complex licensing dispute with a high profile software company. Acting for syndicate investors in disputes relating to loan facilities for property investment and development projects.